Todd Martin specializes in all areas of residential real estate whether new construction, flipping homes, existing home sales or high end rental properties. Todd built a strong foundation of knowledge of home construction through years of construction management with a prominent Chicago homebuilder. 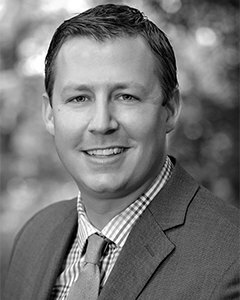 With his well-rounded experience in all areas of the industry, Todd prides himself on being a one-stop-shop for buyers and sellers. His number one priority is that the client does as little as possible themselves. Todd is known in the real estate industry for outstanding service, personal touch, 24/7 availability, innovative marketing techniques, and most important he is a skilled negotiator that always has his clients best interest at the forefront. Todd’s ability to listen and understand his client’s needs has allowed him to continuously achieve his client’s goals and expectations. His personable and professional character has allowed Todd to build and maintain solid relationships, expanding his business from referrals and repeat clients. Todd attended Lake Forest Academy and received a bachelor’s degree in business management from the University of Wisconsin. Todd currently resides in Lake Bluff with his wife and two kids. He is a proud member of the community he sells real estate in and believes it truly is the best place to live. "Todd is honest and knowledgeable. He made the process easy and it was a pleasure working with him." "Todd Martin is an excellent broker. He knows the value of great homes as well as the local area. He is responsive, patient, and seems to know all aspects of homes from building to remodeling to sales/value. I highly recommend him without any reservation." "Loved working with Todd Martin! He was prompt, professional and accessible at every turn of our home-buying journey. I really appreciated the fact that Todd listened to our story and really became a part of our experience - he immersed himself and truly was a partner to our family as we navigated the home buying process. His knowledge of the industry and the area is vast and was vital. I would highly recommend Todd to anyone looking to buy or sell a home in Lake County - he was simply the best." "Todd really went above and beyond when assisting us with our home sale. As first time sellers, we weren't sure of the process or people involved in the transaction. Todd was there every step from staging to closing providing contacts, setting up appointments and keeping negotiations on track. He even retrieved required documents from the home while we were on vacation so our closing didn't get delayed! If you need a broker who really knows the markets and the business, Todd should be your first stop.-Sarah Boss"
"Thanks again for all your expertise in finding our dream home, answering all our endless text message questions, and even making house calls for our dishwasher. You have gone above & beyond what is expected of a Realtor & we are so thankful!"